Are you looking for Commercial Carpet Cleaning in Tunbridge Wells? 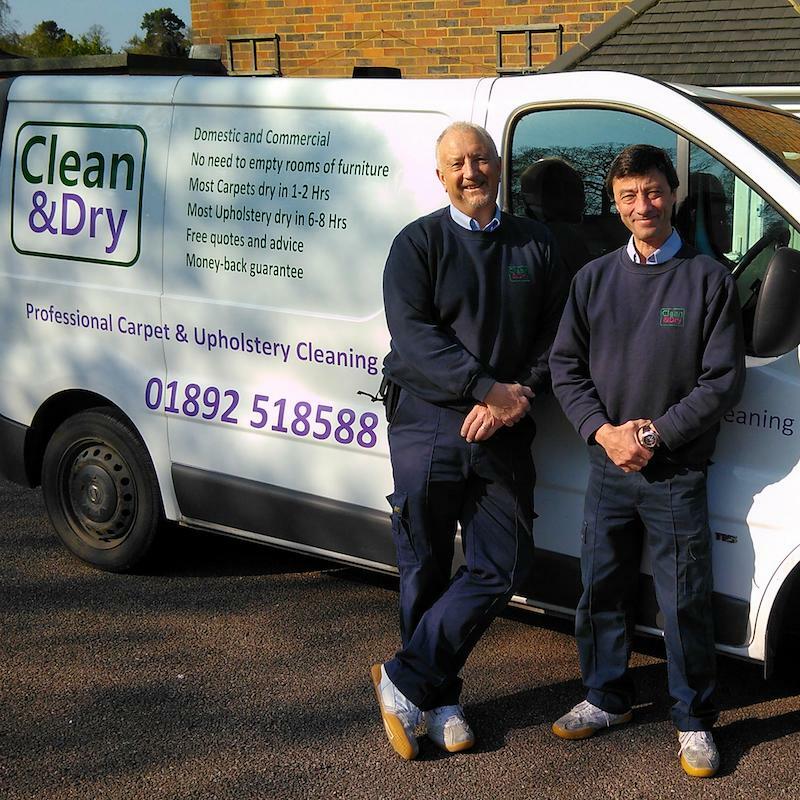 At Clean and Dry, we have over 45 years of cleaning experience within Tunbridge Wells. If you would like a quote on your commercial property or business give us a call today. What are the reasons you should get your carpets or upholstery professionally clean by Clean and Dry? Minimum Disruption. We can work around your business hours to ensure your carpets are cleaned with minimum disruption to your working day. Fast Drying Times. We also pride ourselves on our fast drying times, meaning your workplace will be available to use again in 2-3 hours! Highly Recommended. We are a local, trusted business, meaning when use Clean and Dry you’re in good hands. Also, you are supporting your local community. Read our reviews here. Total transparency. When you call Clean and Dry, we will provide you with a written quote that clearly explains what service you’ll be getting. We don’t believe in ‘bait and switch’ tactics, and will always give you our honest advice before cleaning. 100% Money Back Guarantee, we are so confident in our professional cleaning service that we promise ‘a thorough clean, if you are not happy we will reclean your workplace, if you are still unhappy we will refund you every penny’. Fully insured, when you invite us to your place of work you can have total peace of mind that we will deliver a professional service. However, if the worst happens, we are full insured up to £5,000,000 public and product liability. We work around you, the Clean and Dry team can work outside of business hours if that is better for you, we believe every business should feel clean and healthy but that doesn’t mean you have to miss a day of work. What Type of Commercial Properties Do We Offer Our Carpet Cleaning Service in? Hotels, Golf Clubs, Restaurants, Cinemas, Pub, Offices, Apartment Complexes, Common Areas, Nursing Homes, Schools, Nurseries to name a few!